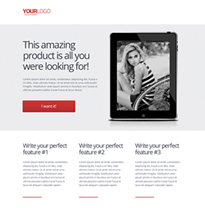 Add a splash of color, text that adds value to your customers and set yourself up for success with this website design landing page template. Kick off your marketing! 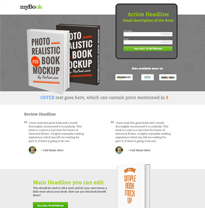 You've put a great deal of effort to build your ebook. Now you need people to download it. 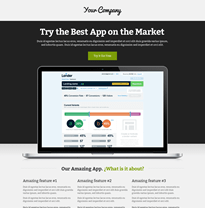 This landing page template is built to increase your e-book download and conversions. 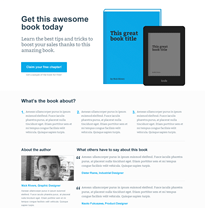 Replace elements on the template to make it work for your ebook's needs.